RMCO Incorporated in the year 1993, R M CO is emerged amongst the esteemed Manufacturer, Wholesaler, Exporter and Importer of an excellent quality gamut of Industrial Valve, Dosing Pump and much more. By making use of unmatched quality raw materials and ultra-modular techniques, the provided range of products is developed with high precision in compliance with set standards of the industry. The whole range is broadly acclaimed and demanded in the market for their rust resistance, long lasting nature, easy installation, robust structure, light weight, excellent performance and compact design. 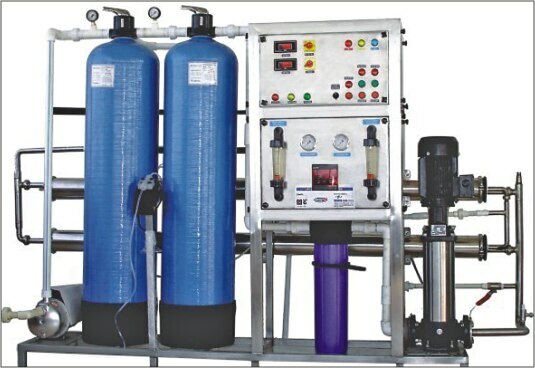 R M CO, a Kolkata West Bengal in India Based Company is Manufacturers of Industrial Reverse Osmosis Plants(R.O.Plants).Industrial Reverse Osmosis Plants(R.O.Plants) accoring to the need for tap water and large volume of water application. The Production range starts from 100 lite per hour to maximum limit to 45000 per hour. All "RMCO" Brand Industrial Reverse Osmosis Plants(R.O.Plants) are carefully customised and configured to suit the individual requirment of the output water, which varies from normal drinking application to the specific usage. Reverse Osmosis has gone wide acceptance and popularity due to its simple operation and the ability to withstand variations feed water quality.